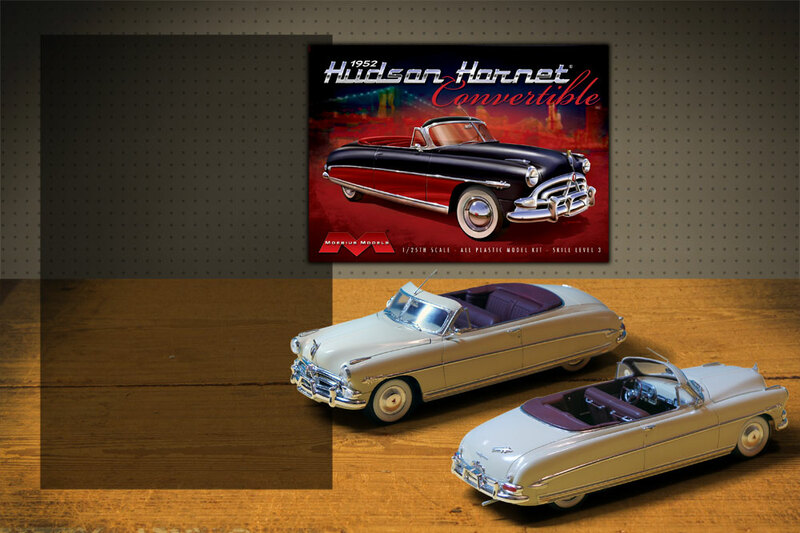 1952 Hudson Hornet Convertible 1:25 Scale Model Kit - Another classic Hudson from Moebius. Brand new tooling, never before released in kit form. Paint and glue needed for final assembly, experienced modelers only!